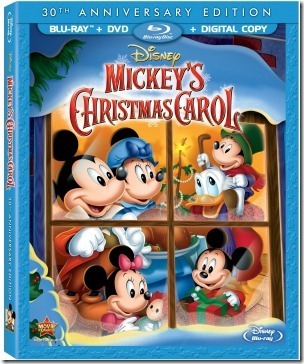 Disney Mickey’s Christmas Carol 30th Anniversary Edition is on Blu-Ray and DVD this holiday season. What better way to introduce your children to the story of A Christmas Carol than with Mickey’s version. Surely you must know the story of A Christmas Carol with Ebenezer Scrooge, Jacob Marley, Bob Cratchit, Tiny Tim and the ghosts of the Past, Present and Future. 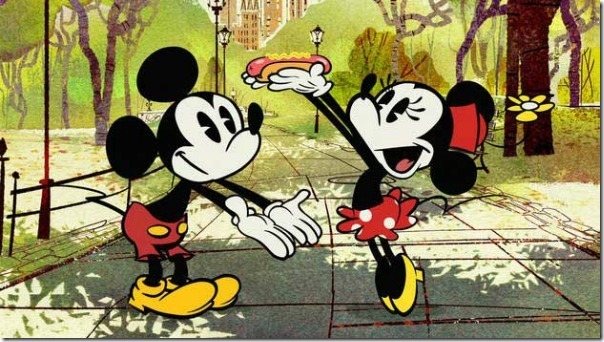 Well this is Disney’s take on it with Mickey Mouse characters. I loved watching this Christmas special as a child and it is one we watch every year with my family now that I’m the mom. I used to just catch it on TV but now I can own my own copy and we can watch it whenever we want. All-New “Yodelburg” – don’t let the All-New part fool you, this short uses OLD Mickey Mouse characters. The video is digitally restored so you can enjoy the same great story with brighter images. Also includes a Disney Intermission where Mickey invites you to sing Christmas Carols with his pals. Pick up a copy wherever movies are sold and enjoy this classic.